Composting is nature’s own waste management process that nutrients are recycled back into an ecosystem. In other words, it is the process of taking organic materials, such as leaves, vegetables, fruits, logs, eggshells, coffee grounds, banana peels and dead animals and placing them in a pile or container along with water. In the composting time, you will turn your pile periodically to encourage the beneficial bacteria to thrive. This will create high heat and breaks down the natural organic materials over time into a dark, rich, fertile soil that gardeners fondly nickname Black Gold. By composting at home, we cannot only save money by not buying too much chemical fertilizers but also save the organic materials from landfills where they take up space and release methane – a greenhouse gas. One of the great ways to really jump into composting at home is to understand the value of finished compost. You have probably heard that composting is one of the easy and affordable ways to help the environment or compost will also do wonders for your plants or herbs. But what exactly is involved in it? How does composting benefit the environment? what are the benefits of composting at home? In this section, you will find answers to these questions. Composting is an effective way to reduce methane (CH4) and other powerful greenhouse gases, like carbon dioxide (CO2) and nitrous oxide (N2O). Some people believe that throwing food scraps and paper materials into a landfill is harmless because the materials biodegrade. The truth is when these materials break down in a landfill they rot anaerobically (without oxygen) and release greenhouse gases, particularly methane. A large amount of methane gas in the Earth’s atmosphere is a known contributor to global warming. In fact, methane is roughly 30 times more potent as a greenhouse gas than CO2, according to Princeton University. Compost is a rich source of nutrients and therefore significantly reduces or eliminates the need for chemical fertilizers, pesticides, and herbicides that helps avoid greenhouse gases related to their production. The application of synthetic nitrogen to fields is a significant portion of nitrous oxide emissions (N2O) – a powerful greenhouse gas. Compost helps reduce the use of NO2 and other chemical fertilizers and pesticides. Compost in the soil helps to keep fertilizers (a major source of water pollution) from leaching into the water. Some of the micro-organisms in compost can also bind heavy metals, again preventing them from leaching into groundwater or waterways. Compost helps soak up water and decrease runoff. Runoff pollutes water by carrying soil, fertilizers to nearby streams. Research also shows that compost energizes the soil food web, which is made up of microscopic bacteria and fungi, decompose organic compounds such as plant residue, manure, and pesticides, preventing them from entering the water and become pollutants – so using compost for your garden is beneficial for both your garden and the surrounding environment. When it comes to improving the soil structure of your garden, there is no better way than amending your existing soil with organic matter. Compost helps improve the quality of soil by encouraging the production beneficial bacteria and fungi, which then break down organic matter to create humus, a rich nutrient-filled material. Compost can also help control soil erosion both by holding onto moisture in the soil and by encouraging healthy root growth. Although compost is not considered a fertilizer, it does contain some nutrients. A well-made compost may provide small amounts of the basic nutrients – usually 1-2% nitrogen, 0.6-0.9 % phosphorus and 0.2-0.5 potassium. It may also provide low levels of secondary nutrients: magnesium (Mg), calcium (Ca), sulfur (S). More importantly, it contains a wide array of trace minerals and micronutrients which are essential to plant health and are often not available in chemical fertilizers such as manganese, copper, iron, zinc. As a result, products grown in composted soil has shown to contain more nutrient contents and be more healthy to eat. A compost-amended garden also attracts earthworms, sow bugs, redworms, centipedes, and others. The existence of these tiny guys proves that there is still organic matter breaking down as it passes through their digestive systems and represents a balanced ecology. According to the University of Illinois Extension, soil treated with compost tends to produce plants with fewer pest problems and are more resistant to disease as well. This helps reduce the need for various fungicides and other chemicals, most of which are toxic to humans, animals and the soil biota themselves. Through home composting, you enhance your garden’s ability to produce healthy plants while reducing your volume of trash. In the US, about 95 percent of food scraps are thrown away and eventually end up in landfills. As you may know, food waste, in particular, produces a significant amount of the greenhouse gases when it decomposes in a landfill, but not so when composted. While you may not be able to compost all of the organic matter you generate, composting at home is still an effective way to cut down on your overall trash significantly. When compost is added to bare soil as a thin layer, it will keep soil moisture from evaporating – a practice called top- or side – dressing. Compost helps increase soil’s ability to retain water and slowly releasing it to plants. In fact, only a 5% increase in organic material quadruples the soil’s water holding capacity. Composting can save you money in many ways. Composting can help you save money on garbage bills or water bills. In addition, when you compost, you can use them for your own garden, which means you can save money by removing the need for expensive synthetic fertilizers that destroy your soil and harm humans, animals, and the environment. For the composting process to work, four things are needed: carbon, nitrogen, water, and oxygen. You can mix and match the brown and green ingredients listed below until you find a compost recipe that works for you. Just remember the carbon-to-nitrogen (C/N) ratio as you build your compost pile. We often use nitrogen (N) and carbon (C) at a ratio of one part Nitrogen to three parts Carbon. Carbon is what is most needed in the pile since it helps slow the decomposition process to prevent rotting. But if you have too much carbon in your pile, the composting process will slow down or stop. Just add more nitrogen to remedy. Carbon can be found in all carbon-rich material ( Aka brown material ) such as paper, dry leaves, branches, twigs, wood chips, sawdust, straw and other dried organic material. You can cut up the large items into smaller pieces to make the process move faster. To balance out the brown matter in the pile, you need green material. The green material contains nitrogen to help bacteria break down the ingredients. This group includes items typically thrown out in the kitchen such as eggshells, leftovers from vegetables, coffee grounds, peelings, fruit cores. Any kitchen waste can be composted, except greasy or meat. 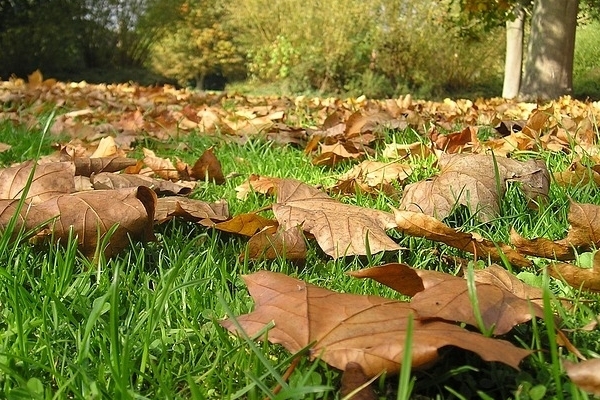 Grass clippings, leaves, seaweed and manure (Not dog and cat waste, only barnyard animals) can be used as the green material. And again, if you have too much nitrogen in the pile, your pile will start like ammonia. Add more carbon to make it work efficiently. Water is another important ingredient in a thriving compost pile. Without moisture, the microbes will go dormant. If it goes dry for too long, you organic materials will not break down at all and you’ll end up with ants or termites in your pile. If your pile is too wet, it will smell and nutrients will be washed out as the ratio of bad bacteria outweighs the good. Ideally, pick up a handful of your material, squeeze it, and only get a couple of drops out. I just water the pile until see the water coming out the bottom and check the inside of the pile every few days. The bottom and center of the pile are where most of the action takes place, so make sure to pull back the top of the pile to check for water. You will know that your compost is right if it becomes hot in the center. This is important to sterilize the organic matter and kill the weed seeds or bad diseases that may be there. Oxygen is the final key ingredient in the compost. This is why turning your pile periodically is so important. You will turn your compost pile from the outside in about once a week. It reintroduces oxygen and helps break up organic material that may have matted with time. 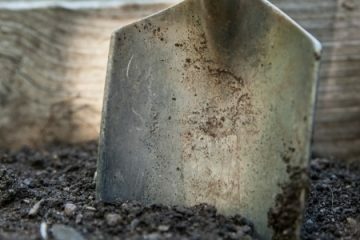 Use a shovel or a hoe to turn the compost to make sure that oxygen penetrates the compost pile and speeds the decomposition process. If oxygen can’t get to the pile, the anaerobic parts will start to build up too much nitrogen and stink or it will stop composting if the nitrogen is used up. Some materials are full of bacteria, fungi, and worms that will speed up the composting process. Add just a small portion of one of these materials to really get the party started. Generally, all waste will eventually decompose. However, for gardening purposes, there are a few items you will want to avoid. Meats, bones, oils, fats: Oils and fats block basic compost reactions. Also, your compost pile can become a food source for unwanted animals and will smell very badly! Large branches, wood chips, pits: Will take more than a year to break down. Can tie up nitrogen. May have to sift compost each season. Check with your local recycling or composting coordinator to see if these organics are accepted by your community curbside or drop-off composting program. Choose a site where you want to put up your compost pile. Clear a patch of ground about 4′ by 4′. Fence it if you want. You can easily find a book that shows you how to layer your components in great detail, but if you’re going to be mixing your compost pile in a few weeks, that’s not really necessary. Take your brown material and shred it to 0.5 -1.5″ pieces using a sharp shovel. This will make the process move faster. Put the shreds in the spot. Take your green material and shred it up a little. Combine it with the brown material. Ideally, you will want to wait until you have enough material to make a pile at least 3′ high. A pile which is too small will also be slow. Then, sprinkle water over the pile regularly until it is like a damp sponge. Don’t add too much water, otherwise, your pile will rot instead of compost. Check the pile every few days for water and mix it up once a week. 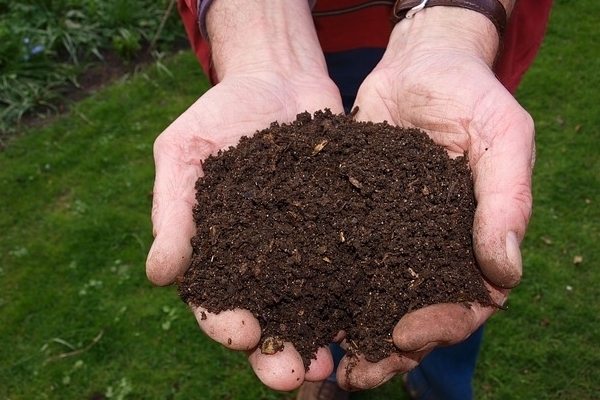 If your compost pile looks too wet and smells, add more brown materials. If you see it looks too dry and brown, adds green materials and water to make it slightly moist. Also, in this time, monitor the temperature of the pile with a thermometer to be sure the composting process is properly working. Or simply put your hand into the middle of the pile, your compost pile should feel warm. Once the compost no longer gives off heat and becomes brown, dry and crumbly like dark, rich soil, you can add it to your garden beds, on your lawn, in container plantings and even in your seed-starting mix as an ingredient. What is the best time to add compost? Generally, you can add compost to your garden soil at any time, it is nearly impossible to overdo it with compost. However, it’s best used when plant and leaf growth is most rapid. Add some to your soil in early spring before planting. Side-dress all your plants with compost throughout the growing season until flowers buds form because too much nitrogen (in compost) will encourage foliage at the expense of flowers. After the seed or fruit has formed, side-dressing can resume on the same schedule until early autumn. Smells like rotten eggs or garbage. Pile is too wet. Add leaves, straw. Turn compost pile. Pile is too hot (temp. exceeds 150°F) Insufficient air or insufficient carbon Turn the pile. Add more brown materials. Compost pile is moist inside but not composting. Not enough greens. Mix in greens. Chop or remove woody material. Compost pile is dry inside. Too much woody material. Pile is too small. Mix in greens. Turn and moisten pile. Chop or remove excess woody material. Clumps of slimy grass, ammonia smell. Too much fresh grass. Mix in brown leaves and straw. Compost pile has shrunk but looks uncomposted. Outside of the compost pile is dry but most of the compost pile is probably composted. Use uncomposted material in next batch.